Summer is mostly about having fun and making memories with loved ones—especially if you’re about to go off to a new city on your journey to college. What can ruin a great summer break is persistent, excruciating tooth pain from wisdom teeth erupting. 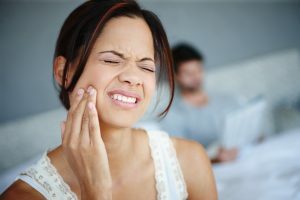 Why suffer from that unnecessary discomfort and potential health risks when you could explore wisdom tooth extractions in Marietta? Muskingham Valley Oral Surgery has the professionals and resources you need to pleasantly eliminate pesky dental problems like growing wisdom teeth. When you think of wisdom teeth, you probably think of your very back teeth. You’re right, those wisdom teeth are the third and last molars to erupt on either side of your jaws. Patient’s don’t necessarily need these teeth to chew, so dental professionals and scientists alike have debated about their true function. As many have probably warned, when your back teeth start to grow in, you can expect to experience some pain and discomfort. We just need to make sure your wisdom teeth grow in the correct places. If there are no complications, you should be able to keep the newest editions to your smile. Dental problems begin when there isn’t enough room in your mouth for them or if they erupt incorrectly. Wisdom teeth that are grown incorrectly, making it hard to floss in the back of your mouth. Wisdom teeth that aren’t in the right place, allowing food to get easily trapped and cause cavities. Wisdom teeth that have partially grown in, leaving a place for bacteria to enter beneath the gum line. Wisdom teeth that are impacted can cause a cyst to form on nearby teeth, damaging the roots of nearby teeth. We know everyone’s mouth is unique. That means each patient comes with different dental concerns. But normally, we recommend getting wisdom teeth extractions in Marietta—especially when patients face the risk of severe pain, infections, damage neighboring teeth, and tooth decay. Some patients are lucky enough to keep their wisdom teeth because they grow and fit into the mouth perfectly. Nevertheless, it’s still important to meet with your dentist to check the back of your mouth for potential dental problems and professional cleanings. Fortunately, our Marietta office is equipped with an expert oral surgeon and general dentist all under one roof. You can have your wisdom teeth cared for thoroughly all from one practice! We make sure each tooth extraction is performed while patients are comfortable and assisted with monitored levels of pain relievers. If you can feel your wisdom teeth beginning to try to push through your back gums, contact our office! We can help you relieve your tooth pain and avoid dental problems down the road.